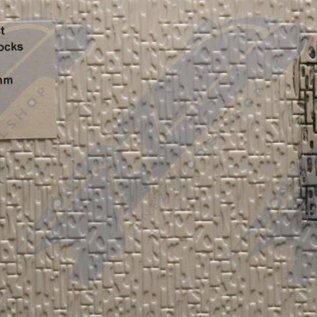 Styrene sheet embossed with Dressed stone blocks motive in O gauge. These very flexible sheets measure app. 26 x 36 cm (Effectively usable minimal 24 x 34 cm) and are supplied in a white colour. This is type FBS717 from the South Estaren Finecast range.